Last Spring we made our way out to Niverville Heritage Centre to work on a mini styled shoot. Only 20 minutes south of the City, The Heritage Centre has a beautiful wood framed atrium with huge windows that works well for both ceremony and reception spaces. 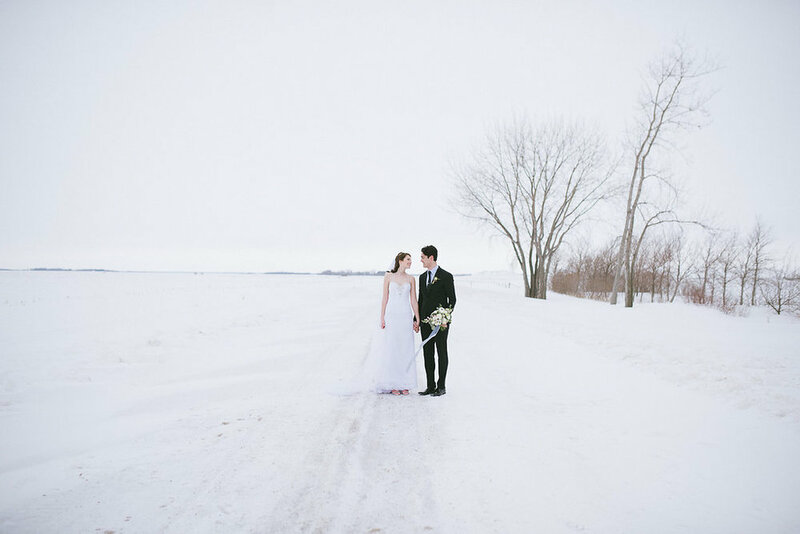 It is surrounded by country roads as far as they eye can see and luckily our model couple was game to take a few shots out in the freezing air. 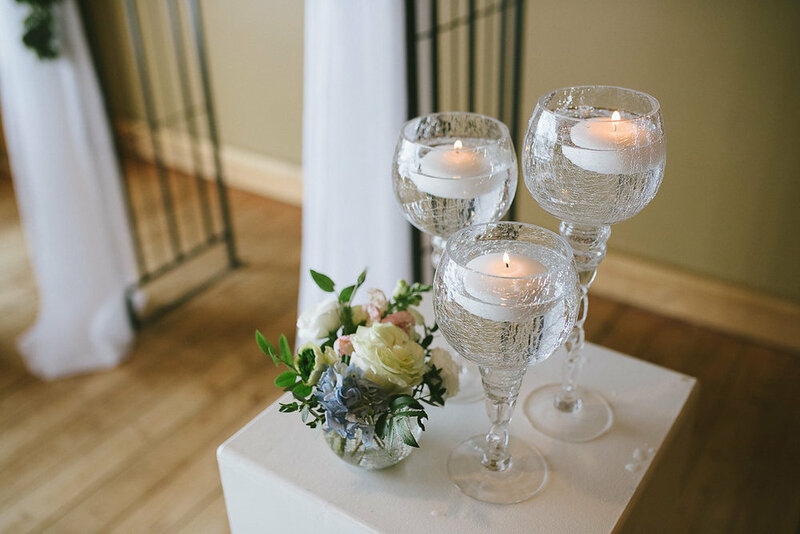 The idea was to utilize some of the rentals items that are available to their brides as part of the all inclusive packages offered by The Heritage Centre. 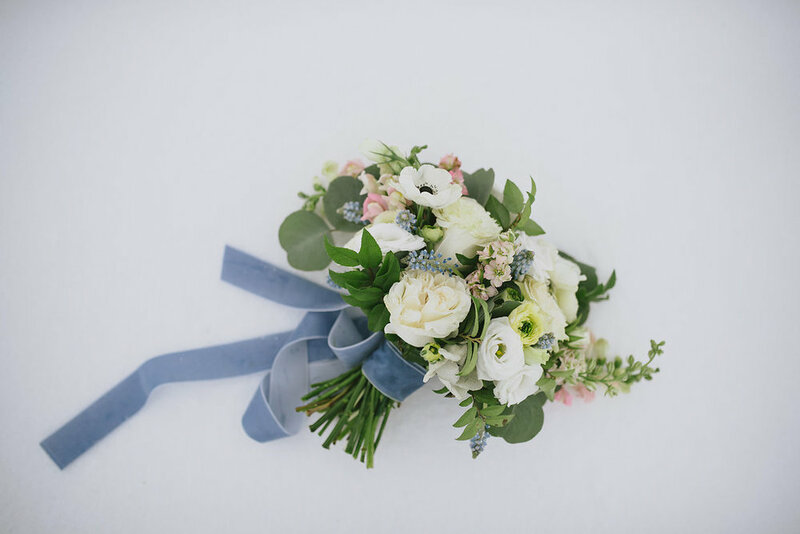 We teamed up with our favorite Linen Company Planned Perfectly and Liz from Styled Wedding and Event Planning to come up with a few different looks using affordable blooms and greenery available during all seasons. Jake from Kamp Photography was kind enough to come and document the day for us and we were totally thrilled with the beautiful images he had for us at the end! We would also like to thank Cake-ology and Anna Lang Bridal for the beautiful cake and dress for our model.